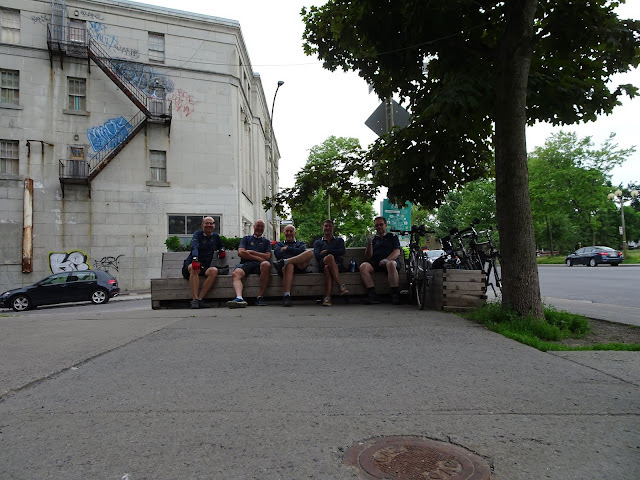 On August 25 2018, five members of the Montreal Bicycle Club joined in a tour of the historic Rivière Saint-Pierre, which was organized by les amis de meadowbrook. Tour guide Danielle Plamondon, featured in the film LOST RIVERS , showed what lays underground and spoke of its ecological impacts. Fellow guide Louise Chênevert, told us of its value to First Nation’s culture and its history with the Lachine canal. Together they showed how important the river is and why it should be daylighted. It is a shame that there is a plan to bury the last remaining section of the river in the Meadowbrook golf course. The real problem is that there are domestic sewers and that dump into this river and that should be fixed.